Copyright(c)2001 GaNam Techtome Ltd., All right Reserved. EXAKT now offers two band systems, The EXAKT300 is the ori-ginal band system developed by EXAKT for preparihg small samples of unembedded and embedded hard tissue with implanted ceramics and/or metals. 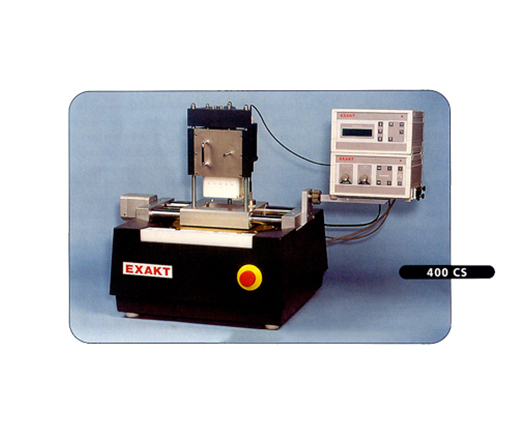 existed a need to cut the same types of samples but on a larger scale Out of that need evoled the EXAKT 310.
since the mid 80's EXAKT has manufactured the EXAKT 400CS Micro Grinding System. With the addition of the AW10 and more recently the AW110 Electronic Measuring & Control Systems the EXAKT 400CS has become the standard by which all specialty grinders for laboratory use are measured. For the past several years EXAKT has focused on improving high-precision cutting technology. Technological advances have been achieved in reducing the size of the contact area between the cutting tool and the sample surface. the result is a significant in required cutting force and dramatic improvement in the resulting cut surface. 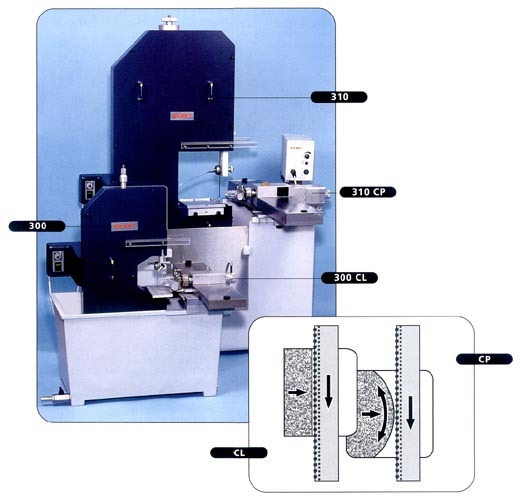 the standard for high-precision, plane-parallel grinding of samples con-taining multiple materrials of varying hardness has now risen to a new lew level. EXAKT's design philosophy is develop highly relibale, modular componets to incorporate as many of them as appropriate in any new prouduct design have been integral pats of other device for over 10 yeas This further guaratees that this EXART device will meet the rigorous demands of today's modem ladoratories.EXART offers an assortment of cutting and grinding equipment, adhesive presses and accessories for sample preparation.All of EXART's devices can be used individually or as an integral part of a total system to produce high-quality surfaces of thin sections of routine and diffcult-to process samples.